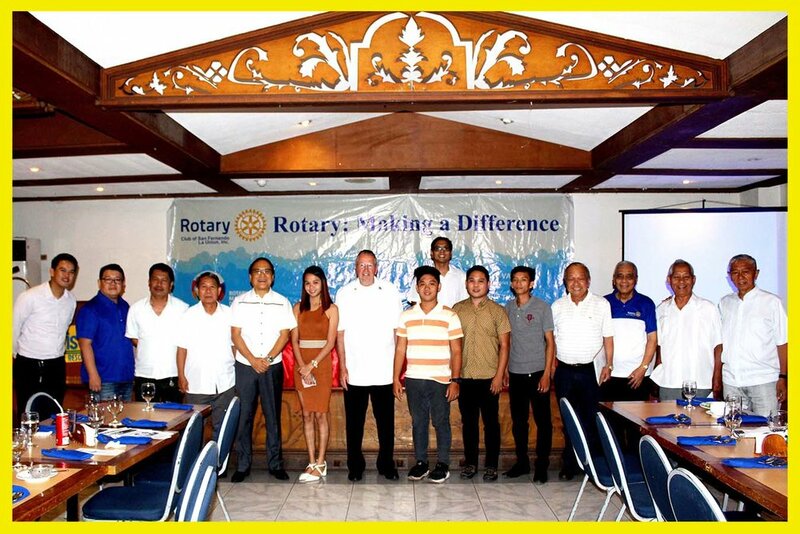 The Board of Trustees of the Rotary PDG (Past District Governor) Rudy Nisce Foundation Inc. hosted the Rotary Club of SFLU meeting held at Oasis, SFLU on May 29, 2018. Three scholars of the foundation and one graduate were invited to talk namely: Venus Fabro, Alexis Alibayan and Ryan Gerard Alcantara who expressed their thanks to the Rotarians for making their dreams become a reality and for providing them a brighter future. Dr. Rodel Viduya, now a veterinarian, described how his college scholarship lightened his family’s financial burden which allowed him to focus on the more important aspect of school, learning. It also inspired him to help others and give back to the community. The foundation is a tribute to the civic-consciousness and professional excellence of the late Rotary Past District Governor Atty. Rodolfo “Rudy” M. Nisce. The Rotary Club dedicates the week of May 23 (his birthday) as PDG Rudy Nisce Week. Rang-ay Bank is a major contributor to the foundation, which has produced a total of 34 graduates from different courses, some of whom are now successful professionals in their own field of excellence.